If we were having coffee, then we would just like last week be eating a lot of fruit. Because well S did go to the market after work today. We would be getting comfortable, sorry I have no nice sofa to recline on. If we were having coffee, then I would ask you if you are here because you are going to run the Paris Marathon tomorrow, are you? It’s the 40th Paris marathon, so I might actually have a look. Today I already crossed paths with some runners spotting Breakfast Run shirts, holding onto a bottle of Vittel and a Banana. I really do hope that security wise everything will be ok. If we were having coffee, then I would tell you how S and I were very suddenly sick this week. I had a headache, a fever, got sick during the night, sore throat. I have a problem with hives on my feet, which erupted really badly and I still have little red dots on my hands, and my toenails did hurt too. Luckily my Tuesday morning student had cancelled, else I would not have been able to teach her. How have you been this past week? No strange illness I hope! Did you see that Coffee Shares are featured on the Daily Post?! Is that how you came across it? I have been doing coffee shares since May last year, and I absolutely love it! I have met many good friends through this weekly linkup, and I try to participate ever so often. It is of course not always possible. If you are still hesitating to join in, stop that! and join in! the community is very welcoming and encouraging. Of coures there are weeks were I have less time to comment and visit, but during others I am on fire. I stumbled across the coffee shares during the A to Z Challenge, as various blogs that I had started to follow were joining the #WeekendCoffeeShare. As you have probably a lot of blogs to visit during this weekend between the A to Z Challenge and the #WeekendCoffeeShare, I am going to wish you a very pleasant weekend and good week ahead. If you want to join in with your own post, then you can join the linkup on Diana’s blog Part-Time Monster. Thank you, I am. But fiancé is still struggling with over-sensitive finger tips. I just learned about the coffee share from the daily post! It seems like everyone I know was sick the past few weeks including myself…hope you feel better. I really hope that this constant sickness of everyone will very quickly stop being… I feel much better, thank you! Have a great weekend! I do hope you will start joining the coffee shares, maybe this weekend or at another moment, they are definitely worth it! Thank you! I am definitely feeling a lot better, still not 100% out of the system, but getting there. Have a great weekend! 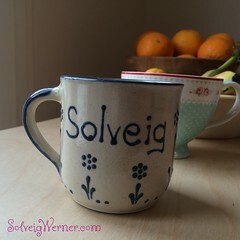 Hi Solvieg. I hope you feel better soon! I’ve been in Boston as they prepare for the Marathon and it does get very busy. Some day I’d like to run a Marathon. Perhaps if I ever do i can try the one in Paris. Actually, I just want to visit Paris again, Marathon or no. Have a great week! Feel better soon! Well, do let me know when you will be in Paris, if I am still here then we shall have a real life coffee share. Have a great week and first a great weekend! I’m trying to hit all of them, but of course I take more time with old friends. Well, I guess we’ve know each other about a year, which is old enough in the blogosphere…. If you are still there the next time I go to Paris I will let you know. It might be a while though – our travel has been very limited since we bought the cottage on Cape Cod! And our next destination will most likely be Cuba since it will soon be open to American travelers again. But Paris is always my favorite city. Glad you’re feeling better. I hope your fiancé’s hives get better so he can type. Glad you feel better, and my prayers for safety at the marathon. Thanks for the coffee and fruit! I’m on a craving kick for peaches. Thing is, I never cared for them before! How weird, right? I do hope you are feeling better though! You are welcome, sorry no peaches on offer today. Strawberries or grapes? Bananas, oranges, kiwis or pears? but no peaches. That sure is a strange craving. I was also excited to see the Weekend Coffee Share get some publicity. It is one of my favorite parts of blogging and like you said, the community is so great and supportive. Glad your sudden illness passed. There are all kinds of weird viruses out there. Take my word for it, I work in an elementary school!! Have a nice week. In an Elementary School, I guess you are either sick all the time or you have an amazing immune system. It’s so great that there has been some publicity. I guess that with the A to Z Challenge many people are going to see it too, that’s at least how I found out about it last year! Be careful they are addictive, just as coffee can be… I don’t drink coffee either. Thankyou very much for the tip – I think I’ve changed it now! Have a good week. Good luck with the Paris run. Like ou I hope security is in place and we see only the good part of the run. It was greatvthat Weekend Coffee Share got a plug on the Daily Post this week. See you next week. I’m quite jealous of your life! Thanks for commenting on my post, and I’m definitely going to follow you! Oh there is no need to be jealous really! I do hope that you’re feeling better—sorry to hear about the hives! Also, I love this idea of a hand-picked godparent. It’s not a concept I’d heard of before, but I think it’s a lovely one.